With coffee shops as the biggest consumer of white milk across Europe’s range of food service outlets, how can packaging, help deliver faster, smarter and better service experiences to consumers? With the launch of its Barista Milk Gold, Globemilk together with Tetra Pak® has created a new dairy product optimized: the perfect opportunity to meet consumer and coffee chain needs. “The overall key was focusing and understanding the challenges and needs of the Barista channel and then getting the understanding of the added value that Tetra Pak could bring specifically,” said Rob Branje, Commercial Director of Globemilk. “Food service does not hold the same dynamics as retail. It’s growing faster, and it requires more customization. More white milk is being sold in the coffee side of food service than any other”. For Globemilk this launch commissioned a range of market research activities, focusing on three different groups of influencers – consumers, baristas and distributors. Rob explains: “Tetra Pak has shared their knowledge on the channels, retail and foodservice, which has supported in having a successful go-to-market. “Also, we’ve involved a recognized Barista champion in The Netherlands who has taken part in the development of our Barista Milk Gold”. 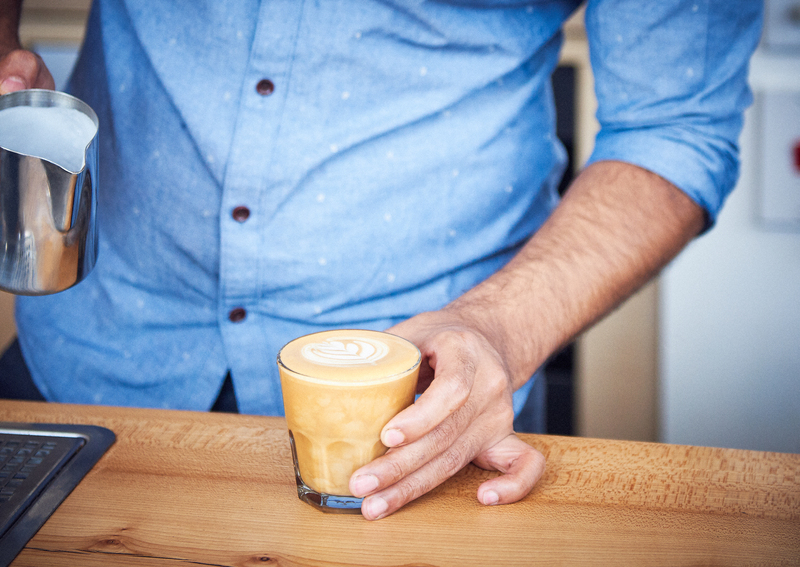 Rob continues; ‘’The input from the barista has been particularly critical; requirement was a dedicated product to work with – a special milk that was processed in a way that will make better coffee beverages with more froth and more foam”. The combination of easy handling, opening and pouring with the environmental advantages (such as low CO2 impact, logistic efficiency, reduced waste handling and more efficient use of the storage space), making Tetra Brik® Aseptic Edge the perfect choice for barista needs. 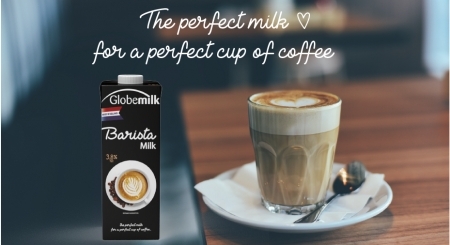 A proved winner for Globemilk’ Barista Milk Gold and is proving so in retail, coffee chains and to suppliers of independent coffee shops.